Once again, it is time for our weekly news round-up – a post where we put the most interesting stories from the past week for anyone who needs to catch up. And while the last seven days have been relatively quiet in terms of major headlines, one piece of news caught the attention of quite a few. On Thursday, a mysterious Samsung Galaxy smartphone swung by AnTuTu, exposing its model name, SM-G925F, along with a great deal of its specs. We know that the cryptic model doesn't quite ring a bell, but looking at its specs, the SM-G925F could be the upcoming Galaxy S6. In other news, rumors about an HTC Hima – supposedly HTC's next flagship phone – are starting to pile up. Most of its key hardware specifications were tipped by a pretty reliable source of insider info, and if his predictions turn out to be correct, then the next best HTC Android phone could be quite a beast. Another story that you might find interesting, especially if you're into iPads, is the size comparison between an iPad "Air Plus" mockup and other gadgets. In a 90-second video, a dummy unit of this rumored extra-large iPad, built according to leaked size specifications, gets compared to other gadgets, giving us a sense of how big the device might actually turn out to be. For more of last week's most interesting stories, flip through the slideshow below. These are believed to be the specs for the upcoming Samsung Galaxy S6. From the looks of it, the screen size might be increased to 5.5 inches, along with the resolution, which is going to reach 1440 by 2560 pixels. The main camera's resolution is expected to be around 20MP - up from 16MP on the Galaxy S5, while the front cam could be of 5MP. 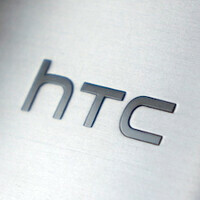 What you see are the alleged specs for the HTC Hima, HTC's upcoming flagship device. On paper, the phone is shaping up as a beast, but the screen resolution of "only" 1080 by 1920 pixels could come as a bitter surprise to some. On the other hand, we're curious to see what HTC Sense 7.0 will be all about. The potential blueprint for the 12" iPad Air Plus that was published a couple of weeks ago pegged Apple's upcoming big tablet at dimensions of 305.31 x 220.8 x 7 mm (12 x 8.7 x .28 inches), meaning it would eventually be big enough to house the purported 12.2-inch display, plus the obligatory home button with TouchID fingerprint scanner. Here's how big the tablet could be relative to other popular gadgets. Part of Samsung's Galaxy A series, the A7 doesn't look too different from the Galaxy A5 and Galaxy A3, though it's larger than both of them. We initially thought that the A7 would sport a 5.2 inch display, but that isn't true. The new handset comes with a bigger, 5.5-inch 1080p screen, and measures 150.9 x 75.9 x 6.3 mm - thus being Samsung's thinnest smartphone ever (just a tad slimmer than the 6.7mm Galaxy A5 and Galaxy Alpha). Several days ago, Google highlighted the most notable Android applications of 2014. Among them are TED, Swiftkey, EyeEm, Locket, Facetune, Secret, TuneIn Radio, and so much more. And here's one for all of you Apple fans. According to a new report, sources within Apple's supply chain claim that a 4-inch iPhone is on track for release in September of 2015. We're told that such a device will be aimed at folks who value one-handed operation and female users. As per the rumor mill, the OnePlus One's successor will come with a Qualcomm Snapdragon 805 chipset (we hope that this doesn't turn out to be entirely true, as the upcoming Snapdragon 810 will make the phone a tad more compelling), and a 5.5-inch display with no word on whether we'll be treated to a pixel-dense Quad HD one or OnePlus will put its faith into a 1080p one once again. It is hard to believe that what's being measured is actually a smartphone - the upcoming Vivo X5 Max, which is expected to be less than 5 millimeters thin. We're expecting to learn more on December 10, when the phone is going to be announced officially. Last month, we heard a new round of rumors regarding Microsoft's potential flagship, which was believed to bear the Lumia 1030 name. Reportedly, it was codenamed "McLaren" internally. It was expected that the Lumia 1030 would be the successor of the Nokia Lumia 1020, Nokia's 2013 flagship smartphone that is publicly believed to be one of the best cameraphones of its time. But according to recent reports, the phone has been cancelled. And finally, here's a depiction of what the next version of Google Glass may look like. The graphics were discovered in a patent filed not long ago. Specs for the wearable device suggest that its next variant will use and Intel processor. Samsung really needs to bring something that will catch people's eye. I only kept my Note 4 since Verizon didn't get the Nexus 6 and they brought a water down Sony Experia Z3. I would have taken any of those two over the Note 4 and its laggy Touch Wiz. One thing I can't stand is the way the icons look for Tw. Please at least change that. If that screen size is correct (5.5"), there will be almost no difference between the Note and the S for several months, until the Note 5 comes out. At least from a physical size standpoint. I'm sure the US model will get one of the latest Snapdragon chips. While I know it's a pipe dream, I wish Samsung would provide more of a stock android experience. Or at least make it where a lot of the apps they install can be uninstalled (amazon, tripadvisor). Let the folks who want every bell and whistle from touchwiz have their cake, and let the people who want more space have that as well.